When our students are first admitted to UMPI, they receive a feather to symbolize the beginning of their journey with us. We encourage them to keep this feather with them during their years at UMPI as a reminder of the strong owl wings they are developing. During our Convocation exercises at the beginning of the school year, each student receives a T-shirt, with a color designating their major, that is emblazoned with the words “Where will your wings take you?” Faculty and staff members also have these “Wings” T-shirts and the entire campus is invited to wear their special shirts during “Wings Wednesday,” held once a month to celebrate our majors and what they’re doing as they prepare to take flight. At graduation, UMPI faculty members affix a Snowy Owl pin to the commencement robes of each graduate. 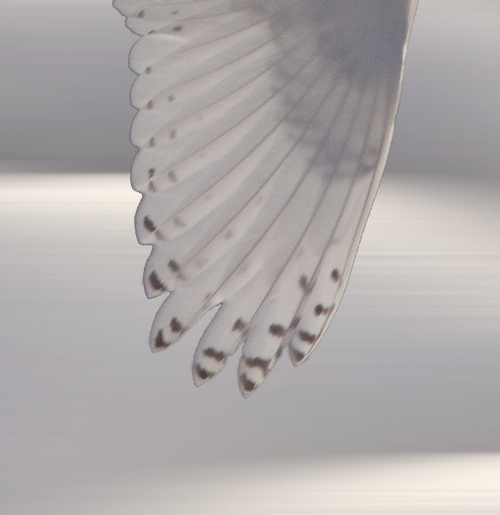 With wings outstretched, this Snowy Owl pin indicates that our graduates’ wings are fully developed and that they are ready to soar on to great heights. And once our Alumni take flight, we ask them to check in with us and let us know where their wings have taken them.